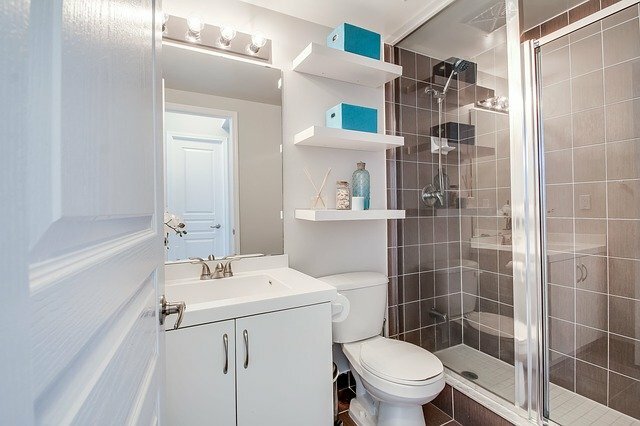 Bathroom lighting should be practical and functional. The main source of light must be around the dressing table and mirror. This punctual light should preferably be placed at the sides of the mirror, avoiding any shadows over the face. If you want to put a light above the mirror, place an elongated fixture with several lamps; these sconces help eliminate shadows. Also, beware of recessed lights in the ceiling just above the sink, as they cause annoying shadows on the face. To compliment accent lights, you can place a general lamp hanging from the ceiling. While in a small bathroom the light around the mirror is usually sufficient, in larger bathrooms, a more comprehensive lighting scheme must be planned. TIP: Use our Real-Time Remodeling Calculator and Find Out in Minutes How Much Installing Recessed Lighting in Your Bathroom Will Cost. 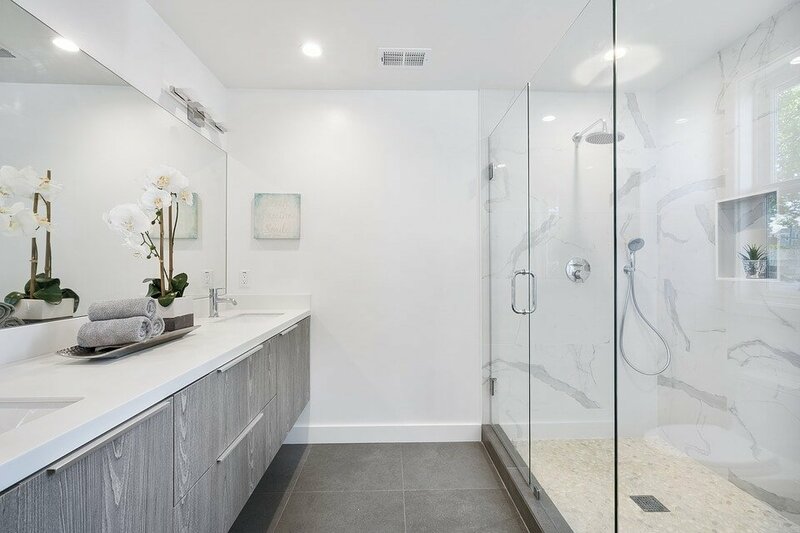 The ideal color to enhance the brightness in bathrooms is white; it visually enlarges the space, reflects light well and gives a sense of hygiene. Shiny surfaces reflect light better. Ceramic or shiny white tiles are a classic for small bathrooms. Bathroom remodels are tough because a simple change of floors or walls involves the intervention of masons. With proper bathroom lighting, we have a quick and effective way to make an important aesthetic change. The toilet allows a more theatrical type of lighting for a bathroom. Yellow light works fine for the guest toilet. 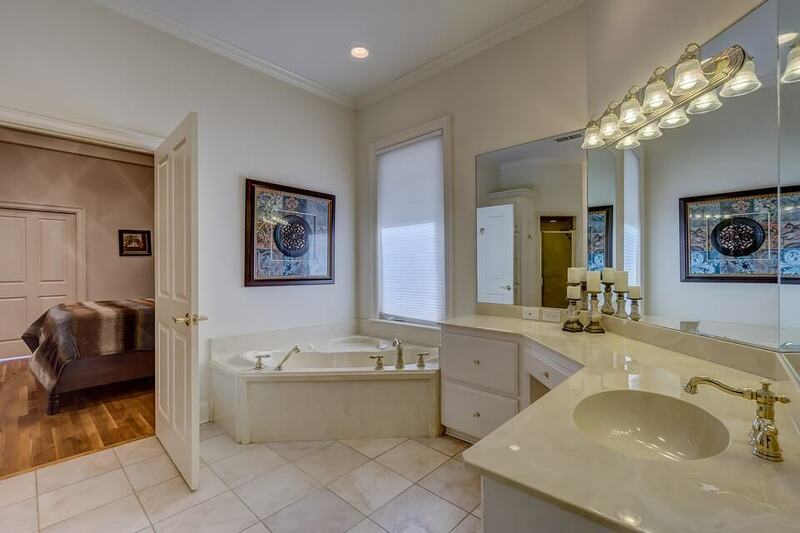 However, the main bathroom requires a clear light, preferably with white halogen lamps. When it comes to lighting in makeup routines, keep in mind not all the bathroom lights respect the colors. In this case, the halogen light is recommended, but also incandescent lamps too go well. If the bathroom is large, or the bathtub is in a separate area or level, the latter should be illuminated independently. This bathroom light does not necessarily have to be clear; a warm light or any decorative alternative can be taken into account. As a safety precaution, portable lamps should never be used.